In Denmark 25,000 small pigs die everyday, but it was the killing of a young male giraffe named Marius that caught the international attention. The killing also reveals the fine line between science and emotions, nature and culture and, yet again, the potential of the internet to quickly turn local events into global discussions. 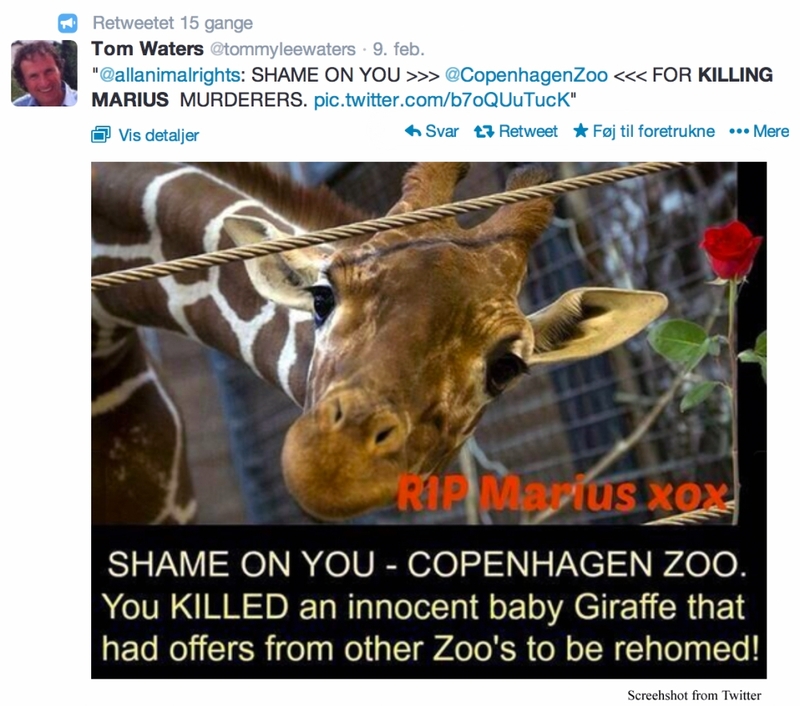 The planned killing of a giraffe in Copenhagen Zoo because of inbreeding quickly mobilized numerous people through internet-petitions and gave rise to quite some social media-noise about the disputed action. Thousands of people signed petitions against killing the young animal. However, despite these reactions the giraffe, called Marius, was shot dead by the zoo exactly as planned. On top of this, and as a Sunday educational activity, the long-necked animal was cut into parts in front of children and their parents, only to be distributed to research projects around the globe and then for the remaining parts… fed to the lions. After hearing about the butchering in front of children, the US ambassador reacted and so did British Channel 4, calling the zoo-director for a live interview. Both the ambassador and the British TV-host called upon the unnecessary roughness and brutality showcased in front of children. 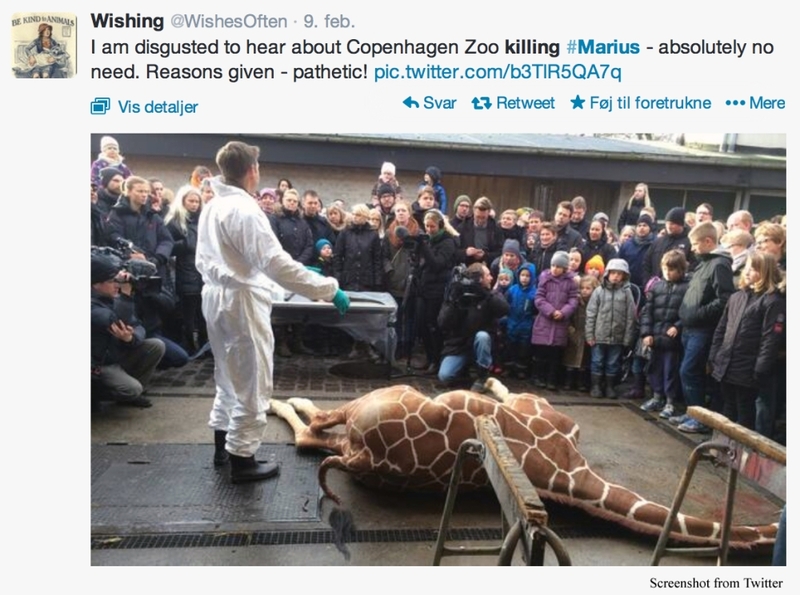 In light of the many protests they asked, why did Copenhagen Zoo not wait and try at least one more time to find a new home for Marius? The zoo-director explained about the European Breeding Programme, that seeks to conserve a healthy giraffe population in the European zoos, and argued that the scenes in the zoo were nowhere as cruel as what goes on in real nature. After his appearance on British TV, the zoo director received both public support but also death threats. From an anthropological perspective the killing of Marius gives us insights into our human relations to nature and to our cultural meanings around nature. Such feelings and images of nature are classical themes in anthropology. So are name-giving of animals and the differentiation of “culture” and “nature” in for instance “ordered” and “wild”, or in “edible” and “inedible” groups. Which animals belong to which groups is not a fixed fact, but open for negotiations and can change from country to country. In fact, all these ways we act in nature and give meaning to the surrounding natural world reveal a lot about us as cultural beings. Let us look at the case from the beginning. Today Copenhagen Zoo is partly a scientific institution and partly an animal showroom. As a scientific institution it is involved in breeding programs, conservation issues and in informing the public about animals. As an animal showroom, it is directed towards the entertainment and education of the public mainly children and their parents. In the first instance, animals are part of internationally coordinated breeding networks reaching out to the original habitats. In the second, the Zoo functions as a “park” within the city being a place of leisure and fun for families. The zoo and the animals have to perform this double role and, thus, are part of two distinctly different worlds with different rules. In fact, these are the defining features of any zoo. But sometimes these two sides collide and the neat Disney surface collapses. It happens for example when an elephant calf dies and its parent needs grieving time with the dead body. Visiting children are then faced with a dead elephant body that does not fit the image of happy zoo animals. When these collisions of the scientific institution and the animal showroom take place, the zookeepers can proactively use them as cases for learning. And that was what the Copenhagen Zoo did when they realized that Marius was one giraffe too much in their park. Letting Marius grow up would have led to further inbreeding, and when no other zoos had space for poor Marius the best solution seemed to be to kill it. This is what happened. Marius was shot and used for education, research, lion-fodder and perhaps also a little entertainment. However, as we know, despite the scientific and logistic arguments, the killing still mobilized online petitions, British TV and an US ambassador. Even death threats were sent to the zoo. But faced with the negative reactions, many people also began questioning the “Giraffe-gate” on social media, arguing either that there must be more important matters in the world, or using humor to show that they sympathize with the zoo. Slaughtered giraffes were added to well-known touristic posters of Copenhagen, and sarcastic websites told fictive news stories with headlines as “World in shock: another giraffe killing in Serengeti”. Copenhagen tourist agencies started to fear a drop in tourism and humorously announced that it was still safe for tourists to bring their giraffes to Denmark. Faced with the international fuzz, Danes used Facebook to give their side of the story and to reach out to their non-Danish friends. A personal account written by one of the parents present at the autopsy was shared on Facebook explaining that no children were harmed or shocked but curious and engaged. It is evident that a large group of people was provoked by the giraffe-killing and even more by the publicly displayed autopsy. Just as many though have been defending the zoo and their actions. The discussion has been driven by media and internet sites, and turned a local event into a global discussion. In all this there seems to be a very fine line between the scientific approach that the zoo is engaged in and the emotional powers released by the publicity of its actions. The zoo is balancing on this fine line. For example, while at the same time arguing in a scientific manner for the killing and the autopsy, the zoo’s Facebook page consists of images of a cute polar bear and a lovely seal puppy. Being both a scientific institution and a public showroom, the Copenhagen killing shows that it is impossible for the zoo to ignore one side, but that they have to simultaneously manage and address both sides in order to control its own image and functioning. Bringing these two logics together is always a struggle. And one thing is sure, with another giraffe killing coming up the story is not yet over. *Watch the full interview with the chief of Copenhagen Zoo, Bengt Holst, on Channel 4 News: http://www.youtube.com/watch?v=ENnNNVOEDZ4. 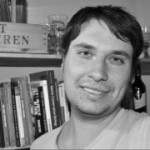 I am a post doctoral student at the University of Copenhagen and currently engaged in a research project examining societal changes in the last three decades. My specific focus is cultural complexity, cities and rural development.